Preheat oven to 400 degrees. Heat a cast iron skillet over medium heat and add oil and the chopped onions. Saute onions until softened about 10 minutes. 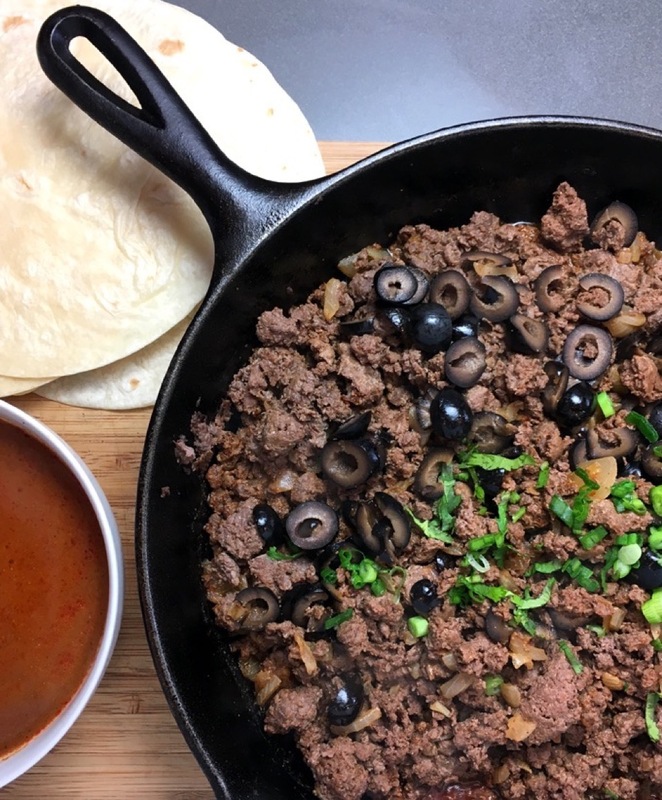 Add ground game meat to skillet and cook until browned. Add all of the seasonings along with the chopped black olives being sure to stir everything together. Remove from heat. 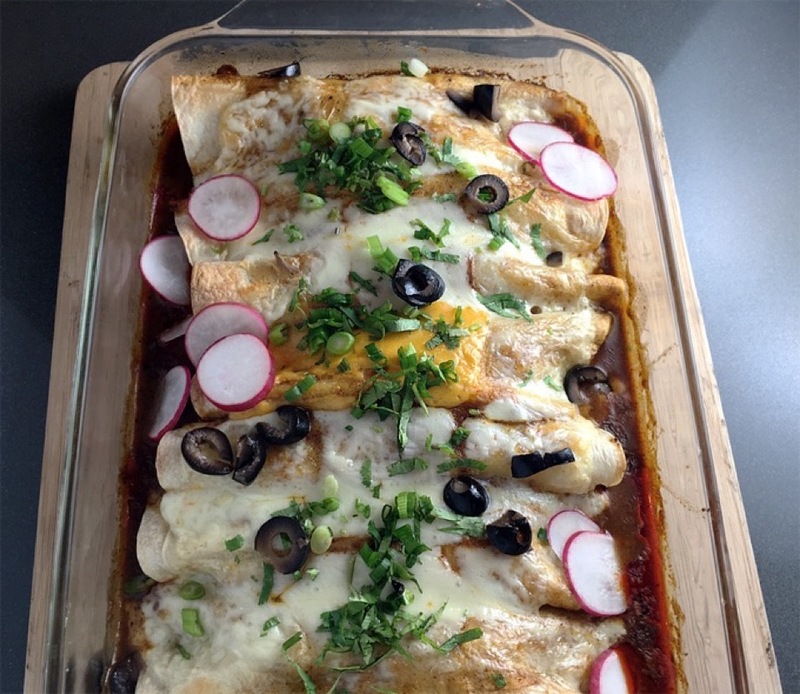 Continue reading the directions for Nevada Foodies’ Wild Game Enchiladas here.